Do you have a little farmer or animal lover? 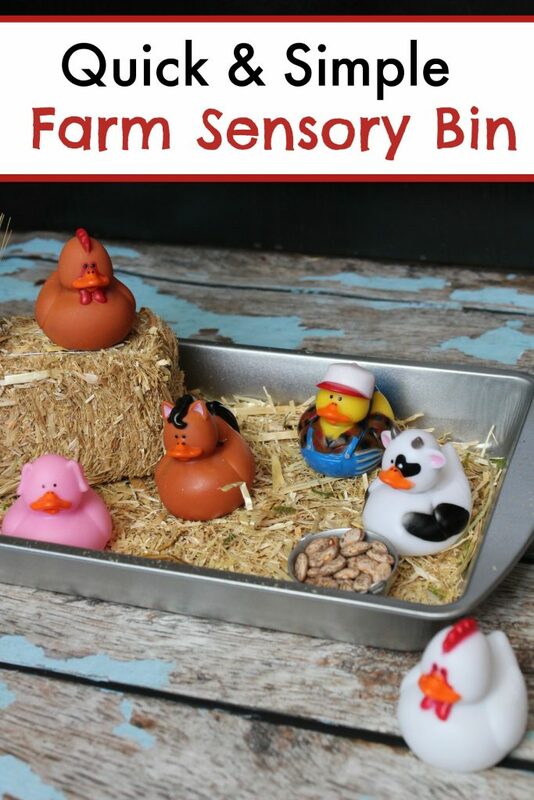 This farm sensory bin is so much for the little ones. They get to play pretend with the ducks and pretend to care and feed them as well. Sensory bins are great for keeping little ones busy while the older children do lessons. When my kiddo was small he could play with these bins for hours! If you haven’t tried them yet, now might be a good time to give a go! I found both my 9×12 baking pan and mini hay bale at my local dollar store. You can use any shallow bin you have on hand for your sensory bin. 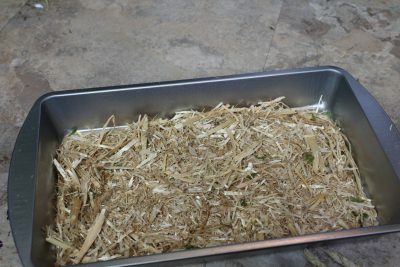 Scatter hay in the bottom of your bin. 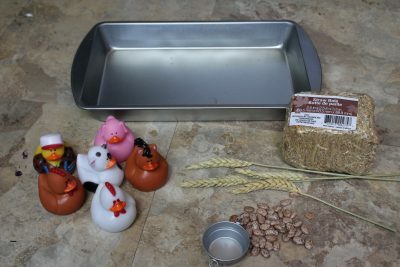 -Add a little cup of beans or other small items for dramatic play- feeding time! 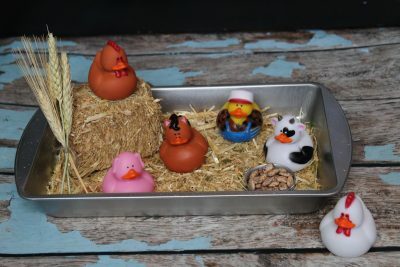 -Talk about caring for farm animals and other things you might see on a farm. -Add magnet letters to your bin, farm flashcards, books, or other farm themed items to extend the playtime.